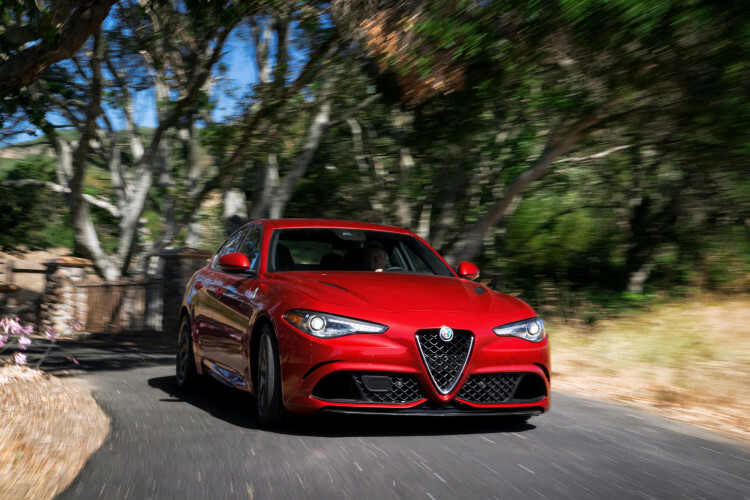 Ever since the Alfa Romeo Giulia Quadrifoglio made its debut, it’s been tirelessly compared to the big boys in the segment — the BMW M3 Competition Package and the Mercedes-AMG C63 S. It makes sense, though, as these are the three brands that duked it out in this segment before anyone else. So it’s time to get the band back together and put these three to the test and see which is best. To do so, Road & Track took all three to the beautiful Palm Springs, California, more specifically the Thermal Club. There, they were able to put all three cars to the test and push them to their limits. The Bimmer and AMG they’d driven before, but the Alfa was a new experience. And being a new experience, the Alfa charmed quickly but that charm faded after awhile and the Germans proved that experience really does matter. The Alfa’s steering is light and precise but a bit light on feel. Actually, every car in this class has numb steering, so it’s really not such a big deal. But its chassis is balanced and grip is ample. The Alfa Romeo Giulia Quadrifoglio’s charms are easy to understand. Its 2.9 liter, 505 hp, twin-turbo V6 also provides tons of power, allowing to get from 0-60 mph in 3.7 seconds, according to R&T, which makes it the fastest car of the bunch. It also sounds great. However, on the road, its dynamics and performance actually become a bit of a burden. While its Bumpy Road mode is actually quite comfortable, its twitchy throttle, grabby breaks and lackluster cabin make it last in this test. 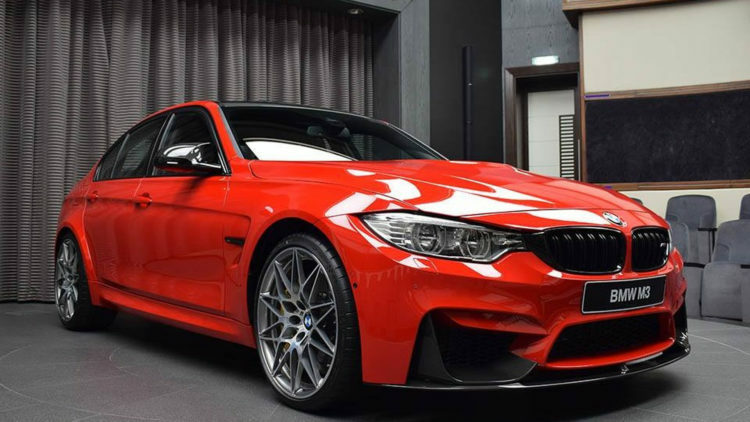 The BMW M3 Comp Pack is the more serious car than the Giulia, more track-focused. Its steering is heavier than the Giulia’s and has a bit slower ratio, but just as accurate. It’s also a bit firmer and more planted but a bit more sterile. However, it’s the most rewarding to drive when really pushed on the track, as it handles like a proper performance-bred sports car. And its engine, while the least powerful, is actually the best of the test. The 3.0 liter turbocharged I6 only makes 444 hp but it pulls hard throughout the rev range, revs the highest in the test and sounds good with the Comp Pack’s new exhaust. One the road, its ride is harsh, sometimes overly so, and the cabin is a bit bland but of very high quality and its seats are great. Overall, it’s a good everyday car and a great track car. But that’s not enough to place it first. On track, the AMG C63 S is the worst of the three, though not bad. It’s just a bit soft and too heavy to be an absolute 10/10ths car. However, at 8/10ths, it shines and is very fun to drive, especially with its tail-out. It also has one of the craziest engines on the road. The 4.0 liter twin-turbo V8 is a 502 hp monster that makes it feel like a German muscle car. But it’s on the road where the AMG really shines. Its cabin is softer and prettier than the BMW while being better made than the Alfa. And its ride is actually legitimately comfortable, not just for a sports car. So because the AMG is 8/10ths of the BMW on the track but better than both the BMW and the Alfa on the road, R&T gave it the win.